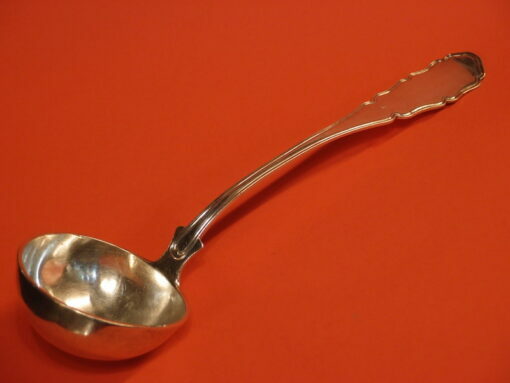 Hallmarked for Vienna 1851, and 800/1000 silver, this Austro-Hungarian soup ladle is 33 cm long and weighs a hefty 262 grams. 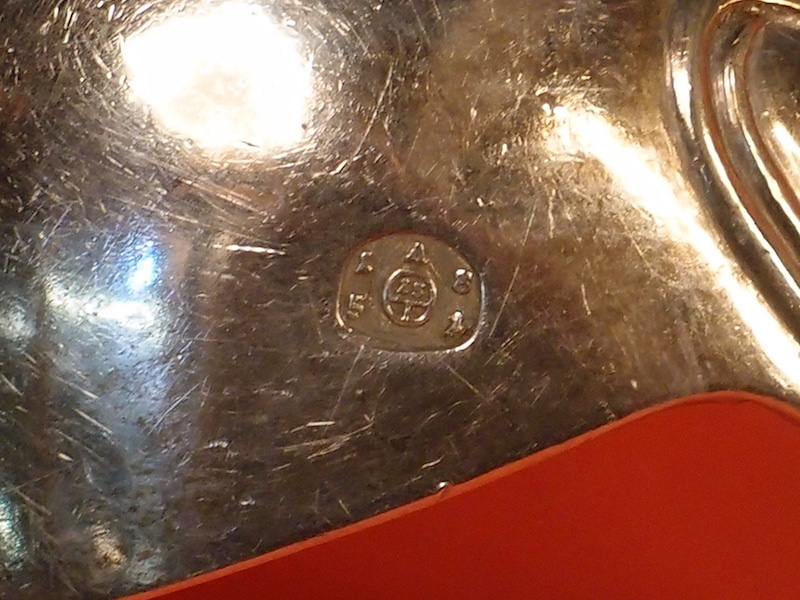 It is decorated on the reverse of the handle with a coat of arms. The pattern is a rather baroque variation on fiddle and thread.